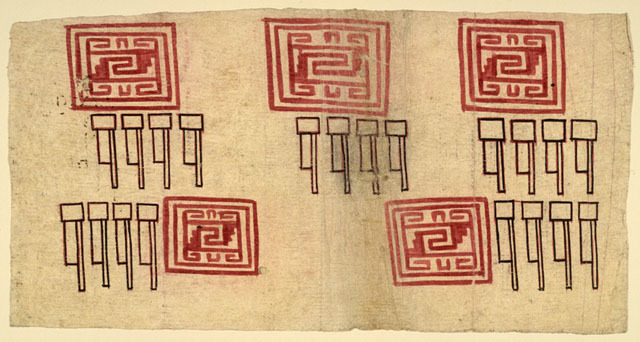 The Huexotzinco Codex is an eight-sheet document on amatl, a pre- European paper made in Mesoamerica. 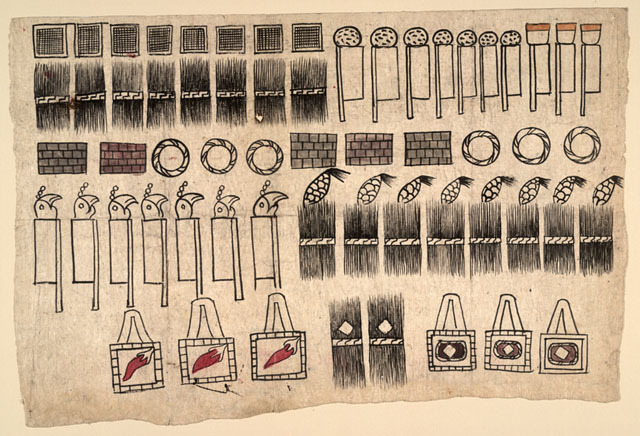 It is part of the testimony in a legal case against representatives of the colonial government in Mexico, ten years after the Spanish conquest in 1521. Huexotzinco (Way-hoat-ZINC-o) is a town southeast of Mexico City, in the state of Puebla. 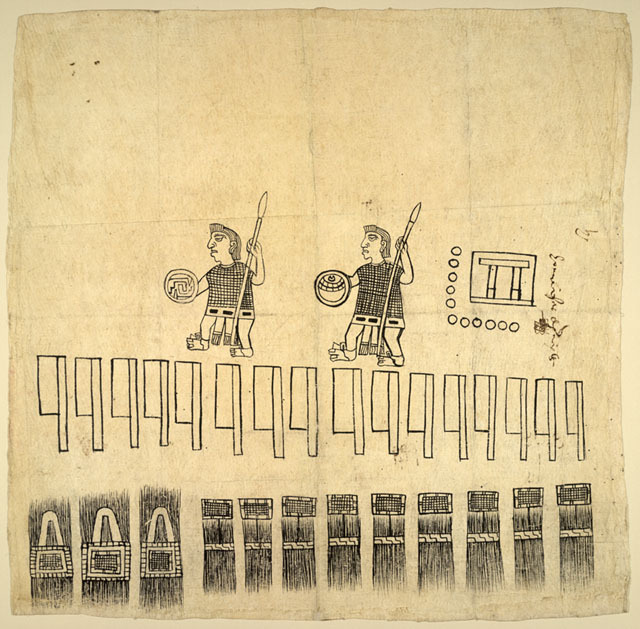 In 1521, the Nahua Indian people of the town were the allies of the Spanish conqueror Hernando Cortés, and together they confronted their enemies to overcome Moctezuma, leader of the Aztec Empire. 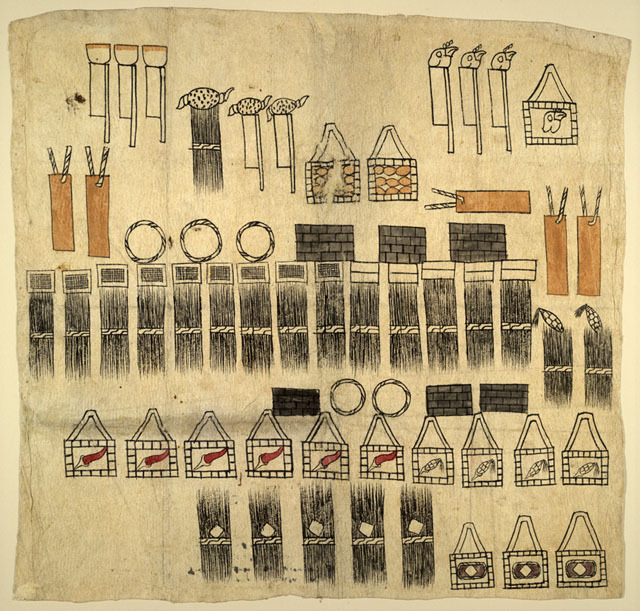 After the conquest, the Huexotzinco peoples became part of Cortés’estates. 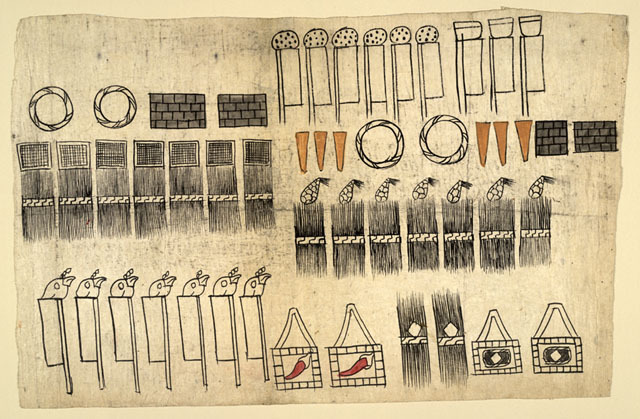 During 1529-1530 when Cortés was out of the country, Spanish colonial administrators intervened in the daily activities of the community and forced the Nahuas to pay excessive taxes in the form of goods and services. 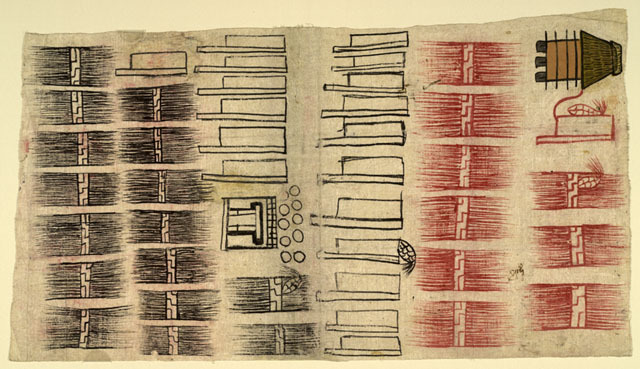 When Cortés returned, the Nahuas joined him in a legal case against the abuses of the Spanish administrators. The plaintiffs were successful in their suit in Mexico, and later when it was retried in Spain. 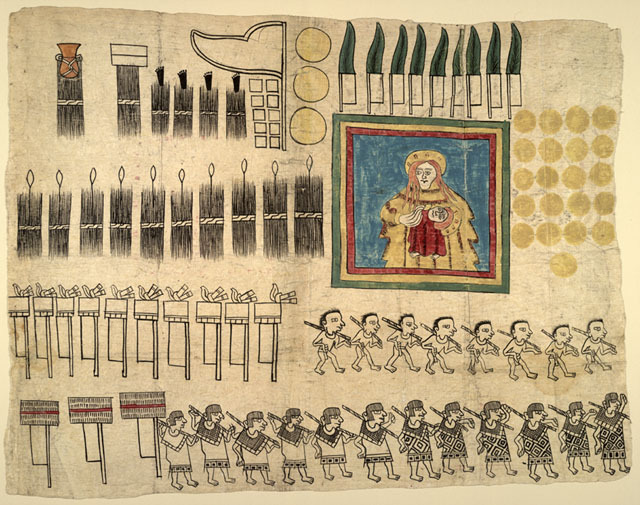 The record shows [in a document uncovered in the collections of the Library of Congress] that in 1538, King Charles of Spain agreed with the judgement against the Spanish administrators and ruled that two-thirds of all tributes taken from the people of Huexotzinco be returned.